Hand #105: Jason Duval raised to 125,000 from the button. Masayuki Nagata called from the big blind. 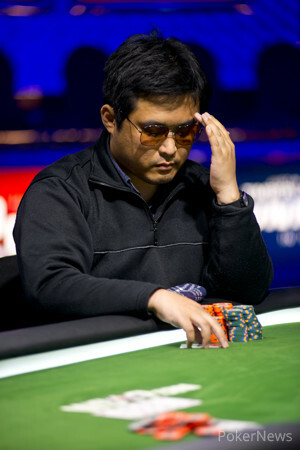 Nagata checked the flop, and he raised a 135,000 bet to 285,000. Duval called. A turn completed the four-straight, and Nagata fired out 300,000. Duval raised, and Nagata shipped all in. He was called immediately. Nagata needed a five or an ace to win the pot, and a deuce would give him a chop. The river brought a , and Duval's rail let out a cheer. 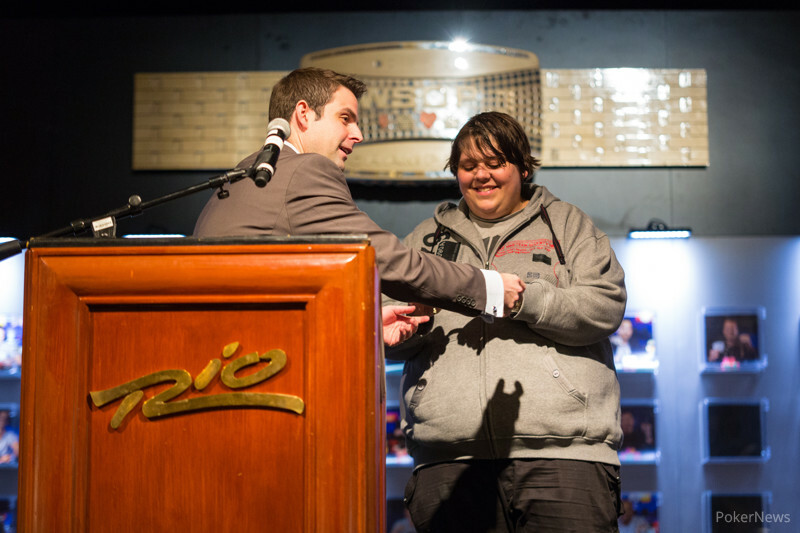 Hand #106: Nagata was left with just over 100,000 chips, and he got them all in the next hand against Duval. The board came , and Nagata was done.